CNAs are an integral part of the healthcare industry. Therefore, they must meet specific requirements and obtain certification, which shows they’re capable of managing assigned tasks and responsibilities. Bona fide CNA training programs must provide up to 75 hours of training, which includes 51 hours in the classroom and an additional 24 hours at a medical facility. Graduates are eligible to sit the competency exam to qualify for placement on the Texas Nurse Aide Registry. The evaluation includes a written exam and skills test to determine competency with techniques required on the job. The Department of Aging and Disability Services (DADS) is the governing body for the management and addition of nurse aides to the registry. The 108-hour course at St. Philips College covers lectures and clinical components over the course of 6 to 7 weeks. The curriculum prepares students to take the Texas certification exam and get certification from DADS. Certified graduates can assume an entry-level position at a long-term care facility, nursing home or hospital. Topics include communication skills, basic nursing skills, residents’ rights, emergency safety procedures, range of motion and patient comfort. Tuition for the full program is $991. The cost excludes books, scrubs, criminal background check, immunizations, a watch with second hand, and closed-toe shoes all of which could cost an additional $500. Students must complete a mandatory online orientation before classes begin. The intensive training offered by the Healthcare Institute takes students through the basics of working under the direction of a Registered Nurse. Students learn how to respond in emergencies, perform CPR, take vital signs, plan meals with nutrition in mind, apply proper body mechanics in lifting and turning patients, and follow infection control measures. Students receive a certificate of completion and eligibility to sit the state exam at the end of the 80-contact hour program. Contact the school to find out more about the tuition and installment plan. Job placement may be available for some graduates. After completing 83 clock hours in one month, graduates of Quest College’s nursing aide training will have the knowledge and skills to pass the state certification exam and function as an entry-level nurse aide at a long-term healthcare facility. Day and evening classes are available, and new cycles begin every month. Tuition costs $1000 including the costs for textbooks, registration fee, lab fee, supplies, test fee and tax. Financial aid may be available through scholarships, loans, grants, and the school’s payment plan. Students must pass a criminal background check, physical, and TB test before proceeding to the clinical component of the training. Experienced faculty at North East ISD teach students the techniques and skills to care for residents in a long-term care setting. The Texas Department of Aging and Disability Services approved program comprises of 80 hours of lectures and skills practice to prepare students for competent care. A 40-hour clinical experience is available for students who pass the lecture/lab portion of the training. Attendance, mastery of skills, and grades will also determine students’ eligibility to advance to the clinical training. Apart from preparation for employment, the rigorous program includes exam review so students have the confidence to pass the state certification exam to be placed on the Texas Nurse Aide Registry. Applicants must be a high school or GED graduate, 18 years or older, able to read, write, and speak English, and have reliable transport to get to the clinical site. Proof of negative TB test, no felony convictions, and no communicable diseases are also required to participate in the clinical experience. Two letters of recommendations from a past employer or previous instructor must be submitted with the completed application during the admission process. The tuition of $850 includes textbook, workbook, and the criminal background check. The comprehensive nursing assistant certificate program at Savant runs for 4 weeks. Students meet Monday through Friday from 8:00 am to 1:00 pm for the duration of the program. 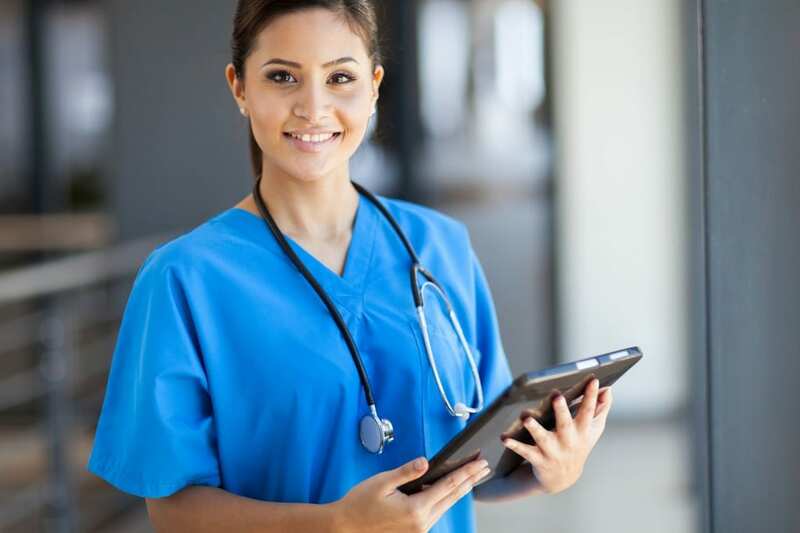 Course topics include basic nursing communication techniques, personal care skills, basic emergency, mental health and social services, infection control, and other essential courses. Graduate will be eligible to take the NA competency exam for state certification. They will have the technical abilities to community and interact with residents and assist them with personal care and other activities of daily living, such as bed making, grooming, and range of motion. Applicants must be 17 years or older and have no felony convictions. No high school diploma or GED is required for enrollment. All graduates will benefit from job placement assistance. Good Careers Academy hosts a nursing assistant program that includes 132 hours of training in the classroom, skills lab, and clinical site. The training prepares students for an entry-level career in the fast-paced health care sector for a success on the Texas written and skills competency exams. The curriculum introduces students to anatomy and physiology, inflection control, communication and interpersonal skills, death and dying, medical law, patients’ rights, patient care, basic nursing skills, mental health, and safety and emergency. Computer skills, include basic Microsoft Word, are included as part of the curriculum. The program emphasizes care of the elderly, surgical patient, terminally ill patient, and short term patient care. Contact the school for current schedule and tuition. Health Training Services prepares nurse assistant students for job opportunities in rehab facilities, nursing homes, hospitals, and home health. The competency evaluation program includes 60 hours of classroom lectures, 40 hours of resident care in a nursing home, and 5 hours of CPR and First Aid training covered in a period of 3 to 4 weeks. Enrollment begins 2 months before the program commences and continue until the first day of class. Applicants must 18 years or older (16 year-olds are accepted with parental consent) and show proof of high school graduation or GED or 18 academic quarter hours from an accredited college. Interest persons with no high school education must pass a Self-Assessment Reading Test with a score of 90% or above. A current TB test (no more than 6 months old) must be submitted on the first day of class. Technical abilities include ability to lift up to 50 pounds comfortably, perform a full range of body movements, and be able to bend, stoop, push, and pull repeatedly during an 8-hour workday. Certain criminal convictions and a listing on the Employee Misconduct Registry will disqualify a candidate from admission to the program. The total cost of attendance is $1,395 and includes tuition, workbook, textbook, state testing fee, student starter kit, insurance, AHA CPR/AED, name tag, and registration.